This workshop unfolds the journey from the Neutral Mask to the Red Nose, the two fundamental masks in the world of movement theater. First the work will lead the students to explore the "Neutral State" and subsequently to tweak that state toward character work and eventually toward the idiosyncratic and personal world of the Clown. 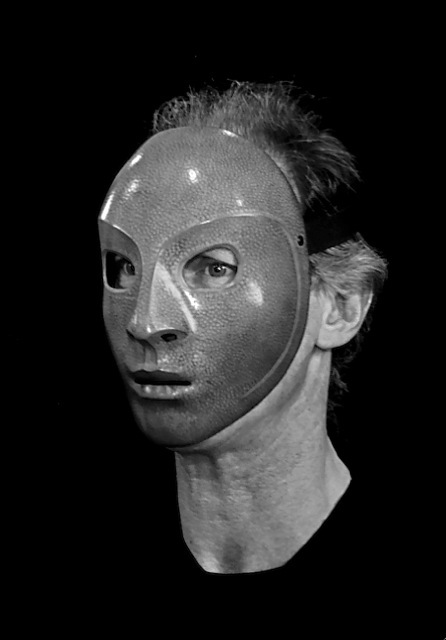 Through the Neutral Mask the actor discovers a state of physical presence, calm and openness to space. There is a web of "non-neutral attitudes" and physical and emotional "background noises" within each person's movement and physical presence. If observed through the reference of the Neutral State, this web appears like paintings/markings on a white sheet. They are “dramatic” in the etymological sense. They contain a drama: an action. The Neutral Mask teaches the actor to unfold any "individual physical drama" to reach a state of pure presence in space, in the silence of the present moment. It’s the basis for all theater masks. After developing the actor's awareness of the Neutral State, the workshop will explore some of the infinite possibilities of creating comic characters, based on variations from neutrality. The focus will be on exploring how each character development is based in an unbalance from neutrality. 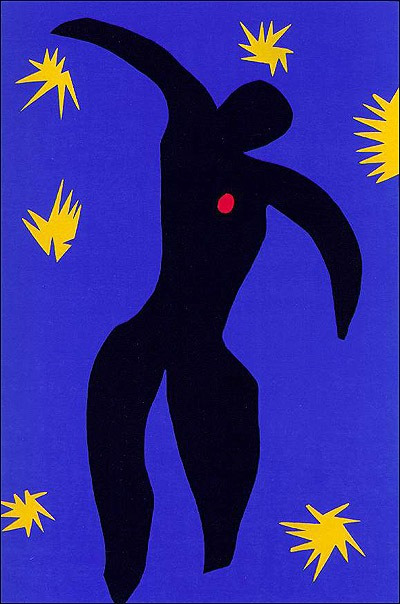 The final step will be the discovery of the Clown through the analysis of the physical and emotional world of each actor, as revealed by her or his natural body, with the help of the Neutral Mask. 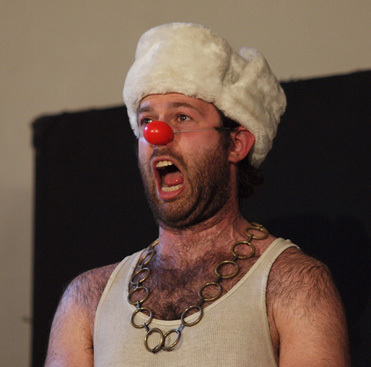 The use of the smallest mask in the world, the Red Nose and the amplification and articulation of personal themes allow the actor to enter the Clown State. This will lead to the discovery of a unique clown, with a specific body, tempo, voice, costume, attitudes, emotions, and poetic world. The clown before being a character, it’s a state of playing, in which everyone has access to this key question: what is so funny about myself? To discover one’s own clown is to reveal one’s own unique comic persona and turn it into a universal comic form. It's the exquisite pleasure of touching the empty space of complete comedy. 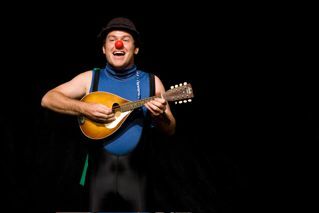 As a theatre style, Clown has a unique poetic potential because it allows the performer to explore and play joining the naiveté and the vulnerability of the child, with the rigor and the technique of the adult, thus revealing the poetry of the ridiculous, and a unique poetic power. As the Neutral Mask is the mask of humanity, the Red Nose is the humanity of the mask. Each day includes 6 hours of Master Classes. Classes take place each day from 9:30am to 1 and from 2 to 5.
a letter of motivation sharing the essence of your story, vision, dream, desire, fear or un-explicable intuition that leads you to this workshop. Please include in your letter your experience with Clown. 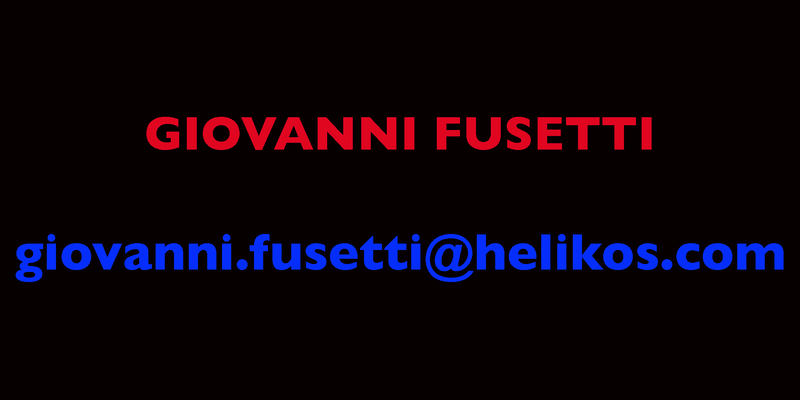 Giovanni will contact you after receiving the application. Once accepted, to confirm the enrollment, a deposit of 200 Euros is due. Please note that the cllss is limited to 12 participants. If you wish to enroll we recommend that you apply as soon as possible. Enrollment situation on August 25th: 1 spot still available. Please read the page on Giovanni's Pedagogy as well as Giovanni's bio and the page The Roots, to review the essence of his approach to clown and theatre. Early Bird Registration: Euros 420, if tuition is fully paid by August 1st, 2018. Please note that tuition does not include accommodation and that participants will be responsible for organizing their staying in Ljubljana. Upon request, we can provide a list of useful information and contacts on how to organize your staying in the beautiful Ljubljana. In the city of Ljubljana. See you in Slovenia ! There are as many clowns as there are human beings. There is one way to stand while there are infinite ways to fall. Intelligence is limited. Stupidity is infinite.